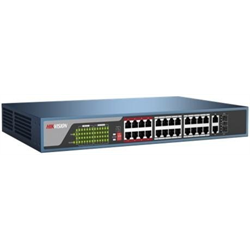 The DS-3E0326P-E from Hikvision is a 24x 10/100Mbps ports unmanaged switch which requires no configuration. 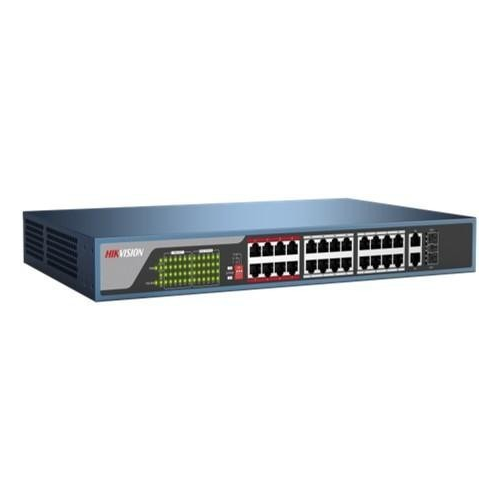 It provides 24 PoE ports and can automatically detect and supply power to all IEEE 802.3af/at compliant Powered Devices (PDs) plugged into it. The switch comes with an LED per port so you’ll know whether the plugged-in device is functioning properly.